Last time we played Never Have I Ever, we got very real so that we can see what we need to imporove. Now we will focus on the good progress we’ve made! In what ways have you used fashion to practice self-care? 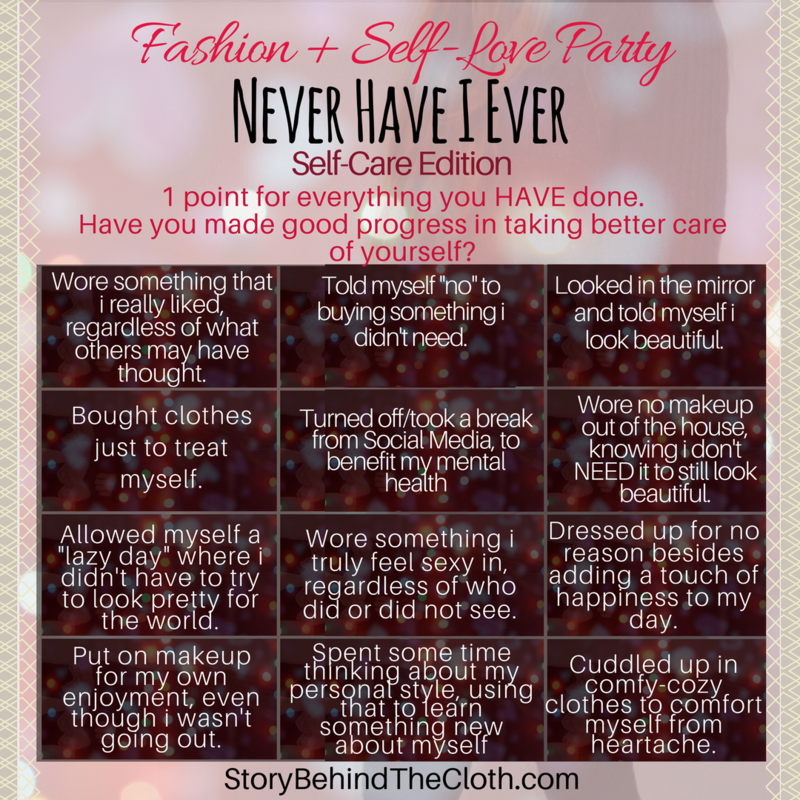 Never Have I Ever – Self-Care Edition! Share publicly to social media (don’t forget our hashtags: #FashionSelfLoveParty and #NeverHaveIEverFashionSelfCare), and/or comment your points here, and you can receive extra Giveaway entries! Are there any other ways you can love yourself through fashion? Which ones do you have the easiest time doing?